Unlike most people l know, I actually make time to experience various “emotions”. It helps me reset the little gray cells. My personality is more of a happy go lucky type, always trusting that things will work out in the end. I don’t like to dwell on things too long. It keeps me sane in an insane world. If l find myself sad for instance, l know l can listen to some King Sunny Ade (the greatest musician that ever lived in my humble opinion :-) ). He never fails to pep me up. I have so many different musicians that l can count on to help me power me through whatever emotion l am either feeling, or need to process through. I am a firm believer that music is a huge healer and balm. When l find myself overwhelmed by the cruelty of the world, l tend to escape into the music of Ayub Ogada. Ayub Ogada was born and raised in Mombasa, Kenya. 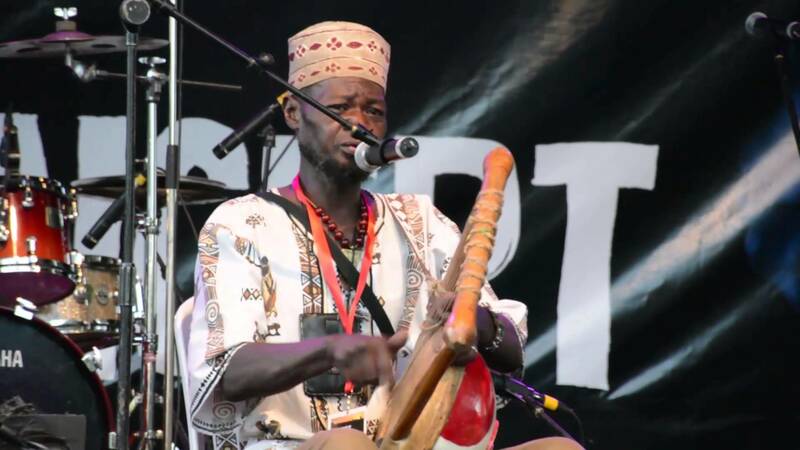 His parents were also musicians and he grew up performing what is known as Luo music and traveled a lot with his parents. After school, he started a band called the African Heritage Band. Their music combined rock with the more traditional music. He left Kenya for London in 1986. He survived as a street musician and was often playing in the London Underground for spare change. His luck changed two years later by chance when he was approached while playing and was asked to perform at a WOMAD festival. WOMAD stands for World of Music, Arts and Dance. It was founded by Peter Gabriel, among others. He was supposed to play for ten minutes, but another band cancelled and so he ended up paying a full set. Peter Gabriel was impressed enough to sign him onto his Real World Label. 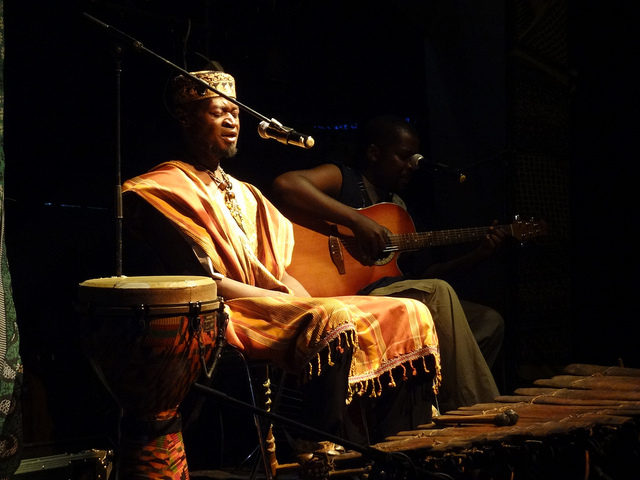 He traveled a lot with WOMAD and collaborated with a lot of other musicians. In light of all the injustice and unrest that has been eating at the world like a cancer, and seems headed to a boiling point of sorts, I have found myself listening to Ayub Ogada more than ever. I find his music soothing. I don’t understand the words, but l feel somehow better after listening. My favorite song of his is called “Kothbiro” (Rain is coming). The chorus includes the word “Aye”. Aye in my language means life, earth. I picture him lamenting the fate of the world. I listen whenever l am overwhelmed by the amount of hateful actions that we as human beings seem to exert on each other with increasing frequency, be it for skin color, or religion. Judgement is for a superior being, not for us. I also remember seeing “The Constant Gardner” with my friend Nat at the Cinerama Dome, a very powerful movie (and one to watch if you want a good love story cry). It played as the closing theme. She sat there crying, as did a lot of people in the theater, a lot. I think it was a combination of sadness from the movie and the helplessness you feel). I got goose bumps, and still do whenever l hear it. I know he sings of us destroying the earth. I just take it a step further :-). Would you look at that! I’ve managed to give you 2 Fab Friday Finds in a go! Here is a link to his whole first album via youtube, my favorite ever..
Auyb Ogada plays the Nyatiti, an eight string traditional lyre. He acted in the movie “Out of Africa” with Robert Redford under his birth name Job Seda. He is now back in Africa, living in Kenya. Have you ever heard of Ayub Ogada? What do you think of his music? Does he make you dream of Utopia like me? It’s nice to see how much can music send your way even if you don’t understand the words… it’s really nice to find from you music and artists that I would’ve certainly wouldn’t have found otherwise. And what seems to go well hand in hand with his music is his story: there is always hope and things can always get better! I’m glad you are enjoying the series as much as l enjoy writing about them. I love discovering new music and movies etc myself. His music is so beautiful to my ears, and his message especially. Let’s hope love eventually wins in this world and we can stop hating and instead focus on leaving a good legacy to future generations :-). Kothbiro is a favourite of mine. I must confess that I have not listened to anything else by him. I just might after reading this post. I love that song, but the whole album is excellent. His new one is good too, especially the title song. Check him out for sure..